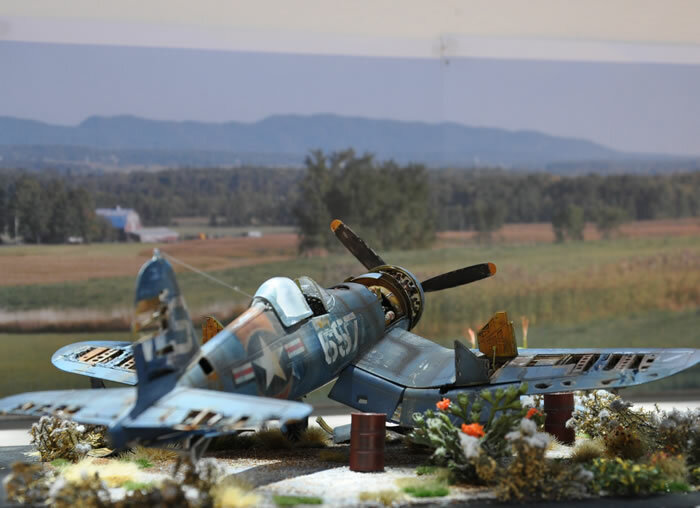 Here is my 1/48 scale Tamiya Corsair F4U-1D. 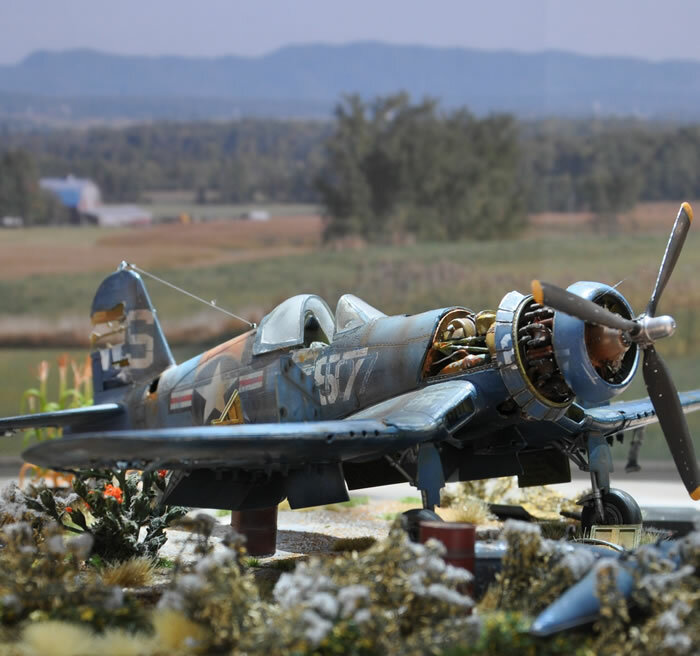 The model depicts a Corsair that was suplus to requirements and left to rot in a field during the 1950s. 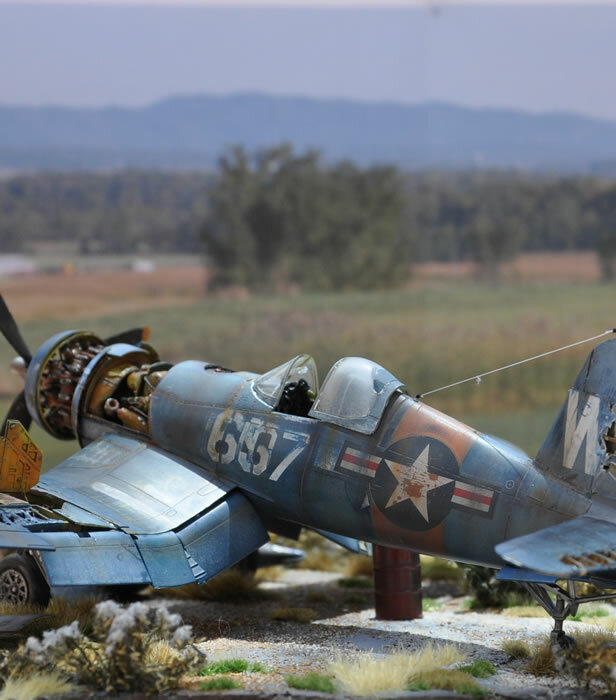 The model was inspired by a photo on page 57 of the Squadron Signal book Aircraft number 145 F4U Corsair in Action. In addition to the Tamiya kit, I used the Aires F4U-1 Corsair detail kit no 4225 and sundry Evergreen card and strips.